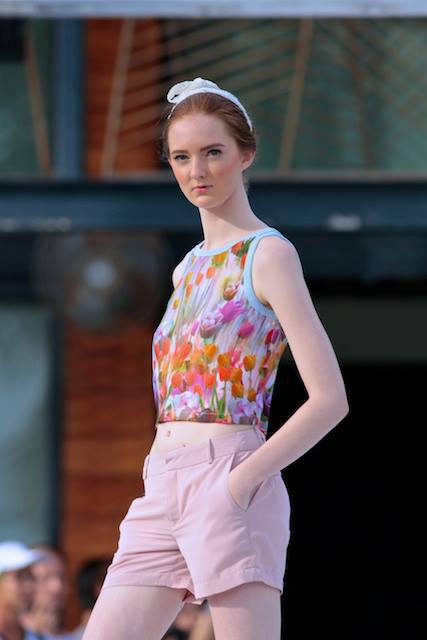 Armoire's Cruise Collection 2014, "Invitation to the Ultimate Happiness" headlined the evening show. 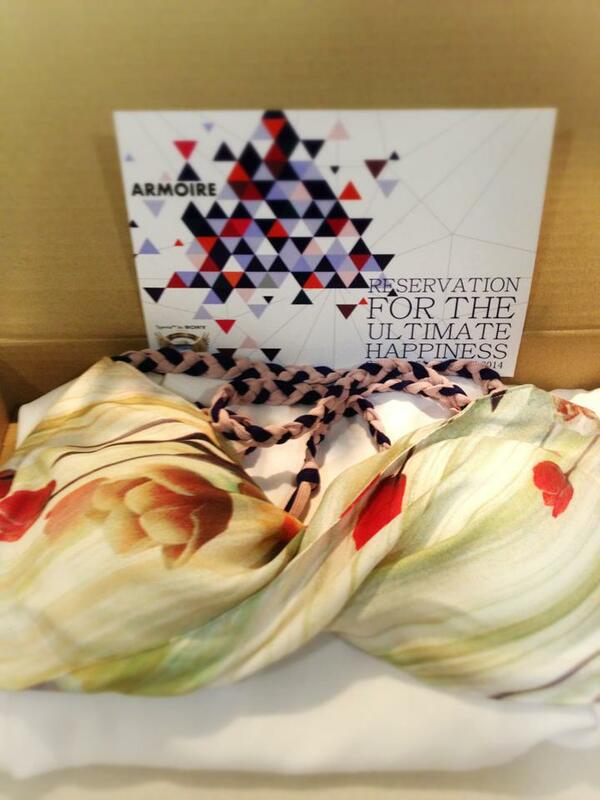 Armoire's "Invitation to the Ultimate Happiness" Cruise Collection 2014 was inspired by the endless horizon skyline with houses carved into the cliffs at Oia, Santorini, Greece. The distinctive element of Armoire is projected via her collection with bodysuit, structured crop top, day dresses, jumpsuit and flirty dresses. Evon Tan of Armoire, most known for her "engineered" dresses using high quality fabrics. I was approached by at least a half a dozen strangers and friends alike upon arrival, inquiring about the pieces (this never happens to me, folks -- usually the questions are about food). And even more so after photos started popping up on social media spaces. So, take a look online at Armoire's site or purchase her pieces through TheFashionHeadlines, an online shopping site that features Armoire along with other wonderful designers around the region. Side video: Evon and I strolled out to the other areas during the show and got caught by Razor TV in our heels. 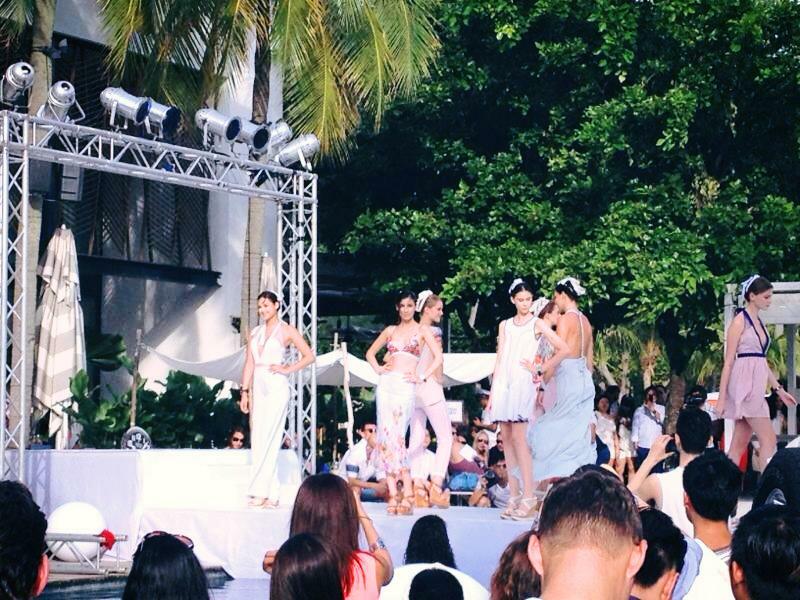 THE BIGGEST AND MOST LUXURIOUS BEACH PARTY IN SINGAPORE – THE FASHION TV BEACH FESTIVAL. Previously held in the palm islands of Dubai - the festival is renowned for being a glamorous affair that attracts the city's jet set. Swimwear that costs more than S$6,000. Thirty models from over five countries ‘walking’ on water and over 15,000 glasses of champagne expected to be sipped by this city's most stylish party-goers - all of these elements come together at Xperia™ by SONY presents Fashion TV Beach Festival. 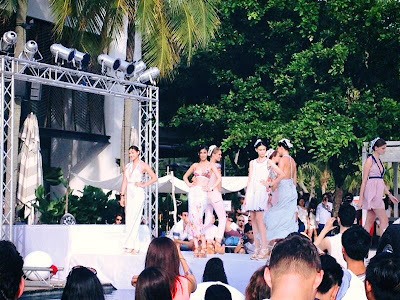 Combining Monte Carlo chic with Dubai cool and adding a dose of Singapore style - the Fashion TV Beach Festival is a celebration of beach culture. Along with the luxury show line-up, festival-goers will be entertained from 11am till late – with world-class DJs, champagne on ice and razor sharp beauty. The Fashion TV Beach Festival presented by Xperia™ is designed for the cosmopolitan urbanite. Glamorous and seductive club outfit.